September is officially Fall Prevention month – not the season but the tipsy toppling we over 60 have a tendency to do with increasing regularity. 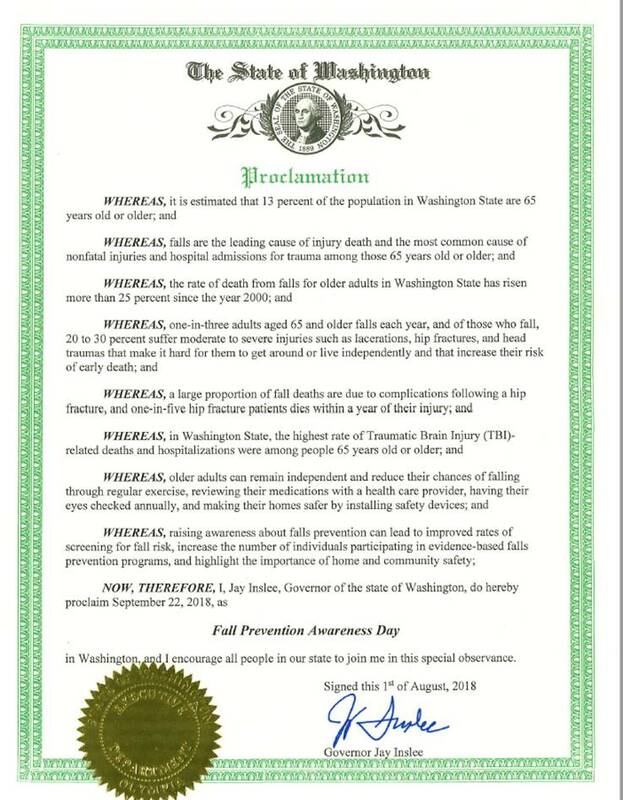 As you can see from the proclamation from Governor Inslee, falling has some pretty significant implications for life expectancy and quality of life after 65. 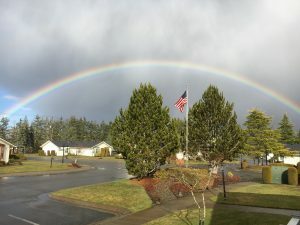 Making your home safer (search for and clear away tripping hazards, improve lighting in your home, and use night lights throughout your house). Take steps to prevent a fall because you don’t want to become a statistic in the “Fall Prevention” proclamations of the future. Hope you have a wonderful trip. It has always been one of the items on my bucket list! Can I go too? Have a ball!